These vessels are handmade in WA by a local creative. We also have a range of wine and bespoke gift boxes on offer. Simply place one of our beautiful blooms in your cart, and you will be redirected to our Little Extras page.  Here you will find all of Floral States additional products; Gift Boxes, Wineand Greeting Cards. All our blooms are seasonally picked and locally sourced. We only use the freshest, seasonal flowers to create our gorgeous daily bunches and the colours and/or flowers may not be reflective of the image. If you wish to specify a colour preference or type of flower for your blooms, please kindly outline this in our section labeled ‘Order Notes’ on the order page. Every effort will be made to accommodate your requests, however this will always be based on the availability of the day. 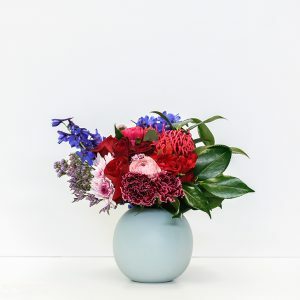 If you have completed your order without indicating a colour or type preference, you will simply receive the florist’s choice from our beautiful daily selection. Same day delivery available if orders placed before 11am, unless sold out prior. We typically deliver during the afternoon hours with all business deliveries to be made prior to 5pm and all residential deliveries prior to 6pm. All deliveries to schools will be made before 3:30pm on the relevant delivery day. If you are unhappy with the quality of the flowers in an arrangement, please contact us within 24 hours of delivery with photos of the item.